We are in the heart of winter. Snow covers most of the ground in the Rockies, the skiing is consistently good in this nice cycle of storms, and temperatures range from near zero to forty degrees. So I am asking you to think about fishing. Fishing? Fishing in February is not unusual—in fact, there’s a small cadre of anglers who argue the next few weeks serve up some of the year’s best fishing. The yardstick for measuring this: fewer people on the rivers, the potential for abundant hatching midges, mid-day fishing hours cease the need to start early or stay late, and the box-of-chocolates ideology is amplified in winter. If you head out to our local waters to fish in the coming weeks, be sure your fly box is well stocked with the following patterns to avoid common pitfalls. Zebra midge. The beadhead version is preferred but not essential. If I had been exposed to this fly earlier in my angling, I would have caught many more trout. The pattern is very simple and is tied by adding thread to a hook, adding a bead, wrapping the layers of thread with some wire, and calling it good. As fly patterns go, it cannot be simpler. As flies that catch fish go, it’s versatile and effective. In winter it’s best fished as nymph as part of a two-fly rig, but an un-beaded Zebra midge can be fished as an emerging insect under a dry fly or small indicator. Tied in various colors, with black being the most popular, this fly is tied onto my rig at some point during any winter outing. Pat’s Rubber Legs. Here it is again. This fly makes every “must-have” list out there. There’s even a story circulating that a bonefish in Belize ate this fly. Tied to imitate a stonefly nymph, this pattern is just plain good. You will most often fish it as a lead fly in a two-fly rig. Similar to the Zebra midge, it is easily tied and also easily fished. 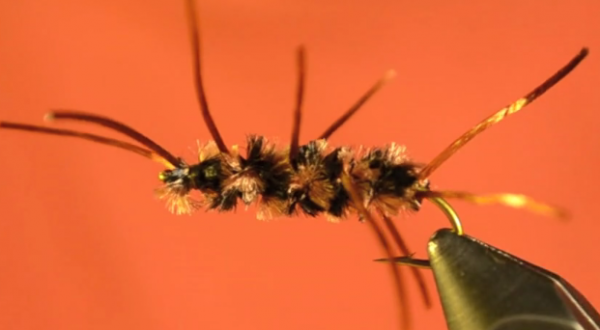 Very few flies are effective year-round, but a Pat’s rubber legs is one of those rare patterns that can entice a fish to eat any day of the year.